Secluded, wooded campsites in a serene mountain setting, yet just a 3 minute drive from beautiful Lake George, and Lake George Village, as well as many area attractions. Adirondack Camping Village offers campers an opportunity to enjoy the great outdoorswhile having some of the comforts of home. Our rustic mountain setting provides ample privacy to relax and enjoy life. 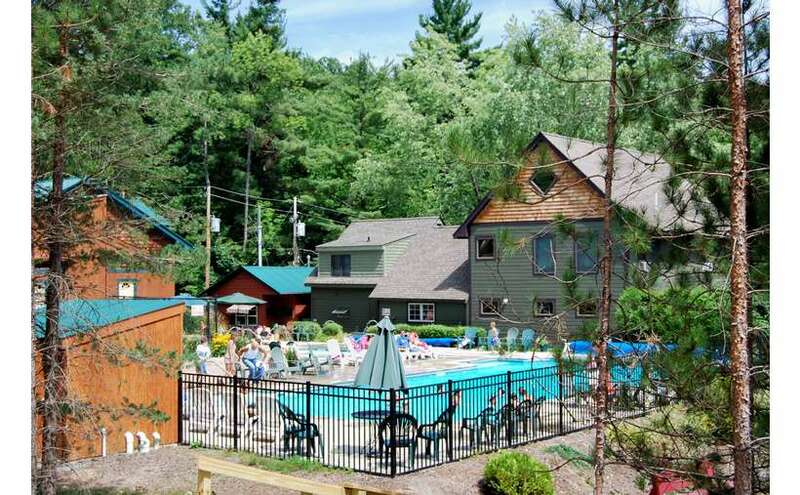 Whether its swimming in our heated pools, watching the nightly movie, or roasting marshmallows around the campfire, Adirondack Camping Village has something to offer everyone. Kids will especially enjoy our playground, game-room and our daily hay-rides. Pets on a leash are welcome. We offer a variety of hook-ups to accommodate all types of campers: For the campers who want it all in their 40 ft RV’s we have 50-amp water, electric, sewer, cable pull-through campsites. For the families or couples who want to “rough it” in tents we offer no hook-up sites. We also have everything in between to accommodate pop-ups, truck campers, and any size pull-behind trailer (water, electric, sewer or cable) and even tenters who want some amenities (water and electric).